6 Reasons Why Home Workout Programs Are Better Than Gyms - Which Home Workout? As someone who attended a gym for years then, for reasons you’ll read about later, stopped going to the gym and completed my first home workout program, Insanity, I discovered that working out at home had many aspects to it that made it fit into my lifestyle much better than attending a gym ever did and, subsequently, I never went back to a gym. Instead, after completing Insanity, I immediately researched other home workout programs so I could continue my home workout adventure. If you’re still pondering whether or not they’re for you, let me give you six good reasons why home workout programs are better than working out in traditional gyms. As with most things in life, the costs involved with getting (and staying) fit plays a significant part in deciding where, and how, you work out. If you’re a gym-goer, you most probably pay an on-going monthly fee in exchange for access to the gym. You might even be tied into a contract whereby you are legally obliged to pay this fee regardless of whether or not you actually use the gym. Conversely, if you work out at home you most probably paid a fee up-front to the vendor in exchange for the program materials. For the one-off payment you get everything you need for the entire duration of the program, without any recurring costs. You can complete the program time and time again, to your heart’s content, without having to make any further payments. This table basically reiterates a point I made above: you get everything you need when you invest in a home workout program, whereas a gym membership is an on-going expense. That’s another point. You should consider a home workout program to be an investment. It’s just like any other investment. Whether you’re investing in stocks and shares, property or home workout programs, the concept is the same: you make an up-front investment (in this case, you purchase the program) and reap the benefits for years to come without having to shell out any more of your hard-earned cash. From an investment point-of-view, a gym membership is like buying a new car on credit – a terrible investment! (Just ask any investor who knows what he’s talking about, or read this Forbes article.) You are tied to this on-going expense where you may or may not end up with something of value. Talking of achieving your goals, here’s another great financial perk: pretty much all home workout programs offer a comprehensive no-questions-asked money-back guarantee. These guarantees make home workout programs a win-win investment because if you don’t achieve your goals you can simply request your money back. On the Insanity order page, it actually states that you can get your money back if you’re not fully satisified with your results. 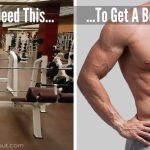 There Are More Affordable, But Equally Effective, Home Workout Programs Available! One final point. Although the table above contains an example home workout program priced at $100, you can obtain fantastic programs at much cheaper prices. Check out my home workout programs for under $100 category for examples of such programs. These budget-friendly home workout programs are typically sold by lesser-known vendors, but just because they don’t advertise all over the TV and Internet it doesn’t mean their programs aren’t good. Quite the contrary, in fact, but BeachBody’s higher price tags alongside their “premium” image make cheaper home workout programs appear inferior when, in fact, BeachBody simply have to set a higher price tag to cover the millions they spend on advertising. Ok, I’m getting a little off-topic here, but what I’m trying to say in this section is that the majority of cheaper home workout programs (certainly the ones I talk about and review on this site) are equally effective and deliver equally amazing results. A perfect example is BodyWeightBurn, developed by fitness specialists Adam Steer and Ryan Murdock, which is currently on offer and you can get it for only $19! How’s that for a budget-friendly home workout program? Click here to see BodyWeightBurn or read my BodyWeightBurn review here. During any period of exercise it is important to set goals. Actually, this is a fact that applies to virtually everything in life, fitness-related or not. If you don’t have fixed targets in place then can how can you measure your progress? If you’re unable to measure your progress then how can you tell if your journey has been successful? A primary reason for people failing to reach their goals is because they don’t set them in the first place. Home workout programs encourage you to set goals. As the program you use is of a fixed length, it has a start and a finish. Whether the program is only 21 days long, as is the case with the 21-Day Fix, or you’re taking on the 90-day P90X challenge, a sense of urgency is created which pushes you to perform your very best every day because you know you only have a limited amount of time to reach your goals. It is this kind of mentality that will spur you on to attain your goals. Conversely, attending a gym is a never-ending cycle. There’s no finish line. You can continue to train week in week out, knowing there’s no finish line, so there’s no urgency to reach your goals and subsequently nothing to really push you. Knowing this, many gym-goers are lackadaisical when it comes to working out, with the attitude that they will presumably achieve their goals at some point in the future simply because they are attending a gym. Are you a lackadaisical gym-goer who mindlessly attends the gym every week without an end-goal, constantly wondering when that body fat will disappear or muscle will reveal itself? If so, it might be time to try a home workout program for a change! Browse some of the top rated home workout programs here or read this article on which home workout program is for you depending on your personal circumstances. Attending a gym has a significant impact on our personal time, and there is so much more to it than the actual one hour (or thereabouts) you spend working out. Consider, for starters, the commute to and from the gym. If you’re lucky, you might have a gym in or near to your work. If you’re unlucky, you might have to trek several blocks or, if you’re really unlucky, hike across town to your gym. Regardless of where your gym is, if you’re anything like me, you just want to get home after a long day in the office. The gym I used to attend was a 30-minute drive from where I lived and worked, so a planned hour-long workout was always at least two hours, by the time I factored in the commute. With a busy full-time job and a family at home, an extra hour just to travel to and from the gym was something I couldn’t really justify as being an efficient use of my time. Home workout programs are a perfect solution to this problem. I no longer have to put up with this since I started using home workout programs. With home workout programs, guess what? You work out at home (go figure! ), so, when it gets near the end of the working day I no longer have the option of talking myself out of working out because “I’m tired and just want to get home” – my home is my gym! For me, that mentality was partially to blame for me not attending the gym consistently and, as we all know, consistency is key to achieving your goals. It wasn’t because I was lazy. Often I genuinely was extremely tired from the early mornings and long days in the office. Attending a gym after all that can seem daunting and be quite demoralizing. I can honestly say I have been significantly more consistent since I began working out at home. For a long time I attended a gym whose opening hours were 8.30am to 8,30pm. In my youth, these hours were fine, but as I got older I was working longer hours, sometimes not leaving the office until 7 or 8 o’ clock. Obviously prevented me from attending the gym after work, but even when I left the office at a more reasonable hour, I still wanted to be home to spend time with my family. The ideal scenario for me would be to either attend a gym early before work, or after the kids had gone to bed. Either way, because of the lifestyle I lead, I had to change gyms. The next best gym, with more suitable opening hours, was the gym I mentioned above: a 30-minute drive away. As you already know, I subsequently left this gym and began my home workout adventure. You may be fortunate enough to live or work near to a gym which has convenient opening times, in which case you won’t know how good it feels to go from having to undertake a lengthy commute and being restricted to what time I can work out, to not having to commute at all and being able to work out at a time that is convenient to me! Another factor which can have an impact on your time whilst at the gym is having to wait around for the piece of equipment that you want to become available. Most gyms nowadays have multiple pieces of the same equipment, and other equipment that will work a similar muscle group, but most gym-goers have their plan written down or in their heads: they know before they even get to the gym exactly what equipment they want to use, for how long and in what order (I certainly did! 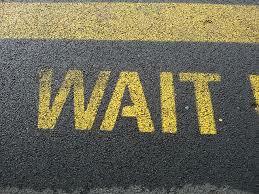 ), therefore, waiting around is common, particularly at peak times. Personally, I hate waiting around. I don’t know many people who don’t hate waiting around. Furthermore, too much rest time between exercises caused by waiting for equipment to become available can be detrimental to our progress: we all know it’s crucial to maintain a higher heart rate and keep our muscles warm to avoid injury during exercise. If you’re someone who often misses gym sessions due to having work or family commitments, or maybe you just can’t be bothered with the commute or are fed up with standing around waiting for equipment every session, then I’d strongly recommend you try a home workout program. If you’re always pressed for time, take a look at these highly effective home workout programs where every workout is less than 30 minutes. I mentioned the cost implication of professional instruction in the first section of this article and I’m going to expand on that in this section. You should consider, when you purchase a home workout program or when you subscribe to a gym membership, what you actually get in exchange for your money. When it comes to home workout programs, the thing that you get that is most valuable is not the DVD(s) (or digital equivalent), nor is it not the hardware that comes with the program. It is, in fact, the extensive experience and in-depth expertise of the trainer, accumulated over years of training and studying. That is what you’re getting in exchange for your money. That is where the real value of a home workout program lies, and it isn’t something you get in exchange for your gym membership fee. You need to pay extra – usually big bucks – to hire a personal trainer at the gym. Take Tony Horton, creator of the P90X series, for example. He is 57 years old and has been a personal trainer since his early twenties and has trained countless celebrities. Or consider Adam Steer from BodyWeightCoach, founder of the Body Weight Burn program. He is a Certified Personal Trainer (CPT), certified in the National Coaching Certification Program (NCCP), BioSignature Certified, a MAT Lower-Body Specialist, an American Kettlebell Club Certified Coach and holder of numerous additional certifications. And it isn’t just a one-off session with one of these trainers you get. They’ve not only done the work of designing the entire program for you, they’re also with you every session, typically doing the workout alongside you, providing you with guidance, encouragement and motivation throughout. In the first section of this article, I quoted $20 for a one-hour session with a personal trainer; this is the fee Tony Horton charged when he first began his journey as a personal trainer. How much do you think you would pay for an hour with a personal trainer who holds the same amount of qualifications has Adam Steer or has Tony Horton’s extensive 30+ years of experience? My guess would be at least several hundred dollars per hour. That’s a price I couldn’t afford to pay, but to have that wealth of expertise included in the purchase price is, in my opinion, a fantastic deal. There’s no getting away from it; gyms can be scary places! They contain huge, freakish-looking men (and women!) with unnatural feats of strength throwing heavy plates of iron around. This can be daunting for all, but especially for someone who is new to working out. Might actually come over to give you advice or ‘correct your form’. Though some of these assumptions are rarely like to come to happen, others are more likely and if someone in the gym does glare, snigger or correct what you’re doing it can be rather embarrassing (albeit the latter will no doubt be meant in a positive way!). It should be obvious that, when working out in the comfort of your own home, there’s no-one there to judge you, make fun of you or tell you you’re doing something wrong. In fact, your home workout trainer demonstrates each and every exercise you are to perform, so you won’t need to be corrected. Gyms generally aren’t expected to be gleaming and glistening and smelling of roses. After all, it’s a place where people exercise and subsequently sweat. I’m fine with all that, I just don’t like it when people share their sweat with me, through failing to mop up equipment after using it. There’s nothing worse than getting to a bench press station and lying down in a pool of someone else’s sweat! If you’re in a gym, wipe your equipment down after use! Please! In addition to the sweat that everyone distributes across the gym, there’s almost always a stench to go with it. It’s usually the body odour you come to expect from people exercising but I’ve found some gym-goers, particularly those of a certain age, can’t help but pass wind during their entire workout. A lot of gyms can be uncomfortable places to be in, especially if you’re a clean freak like me, but obviously if you’re using a home workout program then your training environment is only as dirty and smelly as your home which, hopefully, it isn’t! There’s no hygiene or cleanliness worries. Now take a look at the very best home workout programs. Do you agree with my reasons? Or do you have another reason why you prefer home workout programs over gyms? I’d love to hear from you in the comments below. 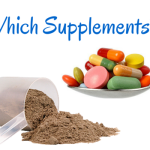 How Much Money Should You Spend On Supplements? Which Home Workout Program Is Right For You? How To Stop Peeing Your Pants. Really! 7 Reasons Why Everyone Should Do Yoga – Including You! A fee will be paid to this website whenever a reader is referred to Amazon and purchases a product. This payment is made by Amazon and does not cost the reader. Additionally, you should know that each review remains 100% impartial and unbiased, and the fee paid to this website by Amazon has no influence on any of the reviews. Copyright © 2015 Which Home Workout?, All Rights Reserved. Your friends might enjoy it, too.